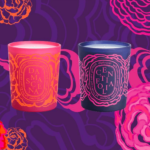 If you are one of tea enthusiasts who cannot imagine a single day without a tea break and who enjoys experimenting with new, rare and exotic tastes, you will probably like the scanted candle concept that the eminent Parisian tea house came up with. 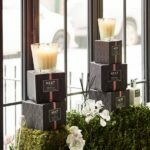 By implementing the great knowledge in selecting the special sorts of high-quality teas to the creation of exquisite aromatic blends, Le Palais des Thés produced its line of luxurious candles that will leave powerful aromas fulfilling your personal space, long after the last drop of your favorite tea is consumed. Founders of Le Palais des Thés have spent more than 25 years, traveling and exploring new regions in quest for extraordinary sorts of tea, some of which have been inevitable parts of local gastronomies during centuries, yet totally unexploited in the west. Today, the Parisian house reveals to us those delicious tastes from dozen of countries, including China, India, Japan, Taiwan, Nepal and Sri Lanka. By adding fruity aromas and essential oils to already beautiful fragrances of flavoring teas, Le Palais des Thés created delicate scented blends to infuse in its high-end candles. 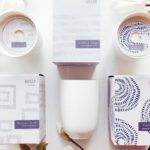 Each designed in the original way and highlighted with a different striking color, Le Palais des Thés scented candles speak inspiring stories and reveal to us different places and cultures. Its Thé des Concubines Candle recalls a sensual and mysterious spirit of the traditional Chinese tea house, fulfilling the room with a blend of black tea and spicy aromas. 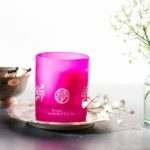 Thé des Lords Candle finds the connection among sunny Sicily and fogy London, offering the luscious blend with the dominant aromas of black tea and blood orange. 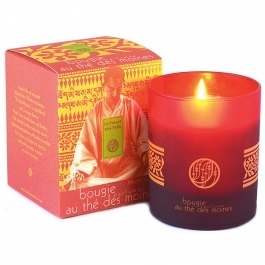 Created from rare, sacred plants and flowers, based on the ancient recipe from Tibetan monasteries, Le Palais des Thés Thé des Moines Candle brings the calming atmosphere of Buddhist temples. 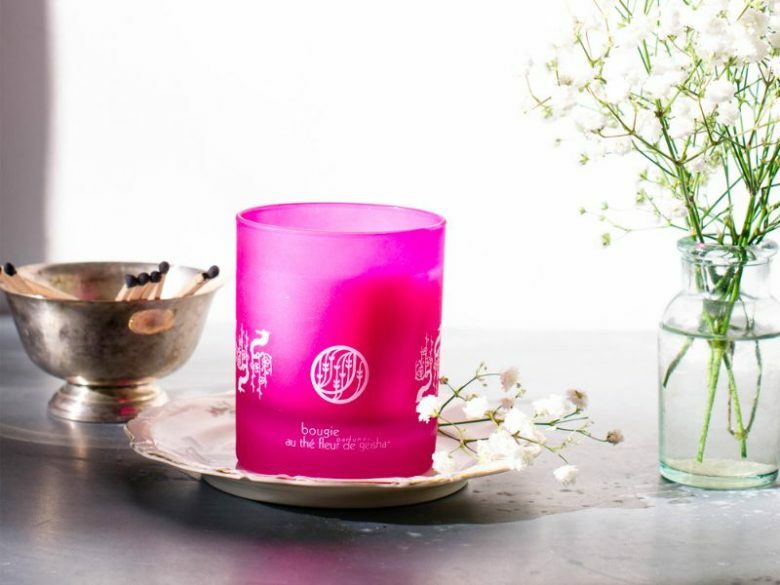 For those who need quick and efficient refreshment, there is a Thé du Hammam Candle with its complex blend of fresh green tea, delicate rose petals, orange blossoms, ripe red fruits and crystallized fruits. 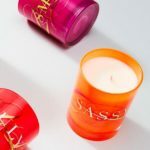 Made of food-grade paraffin according to the highest standards, each Le Palais des Thés candle with the weight of 7 oz. ensures solid burning time of 50 hours. 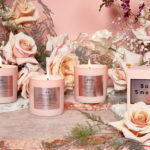 With its original approach, the renowned French brand gives us a chance to discover amazing sorts of tea through the world of luxury candles.